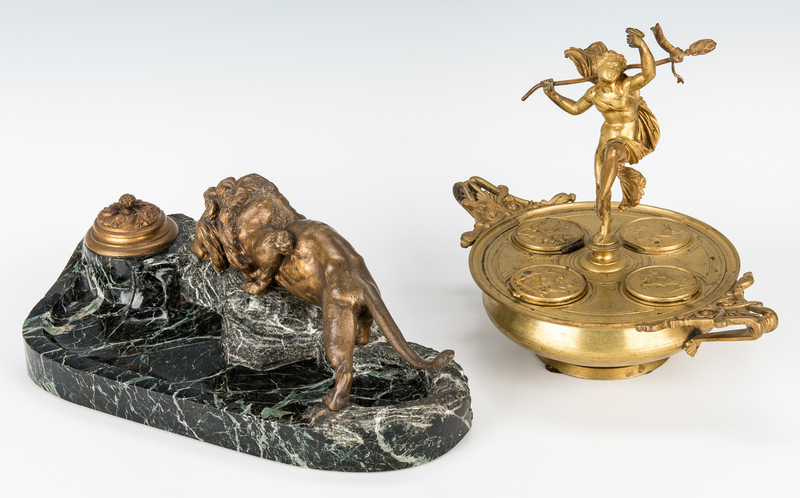 Two (2) Inkwells, including Classical Figure and Lion. 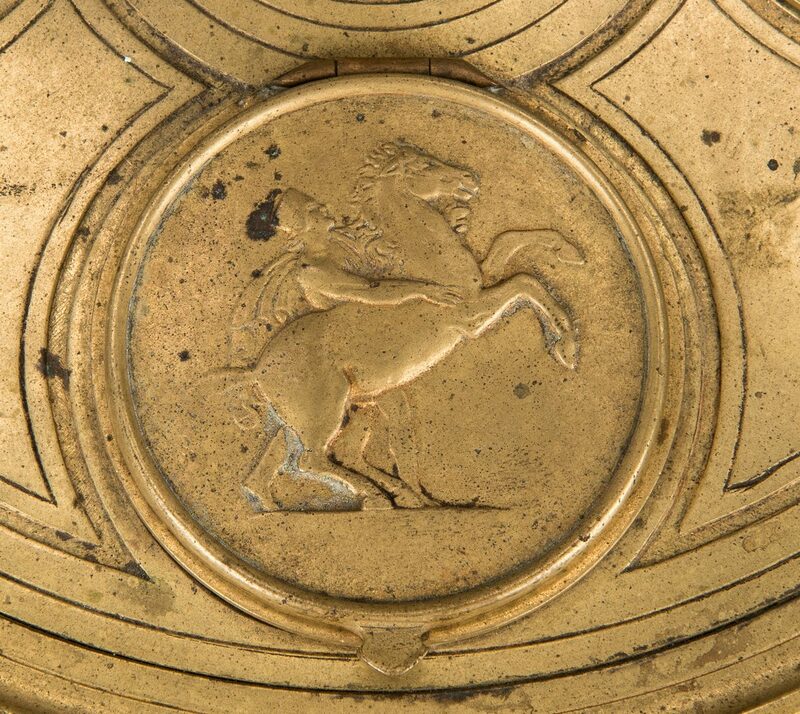 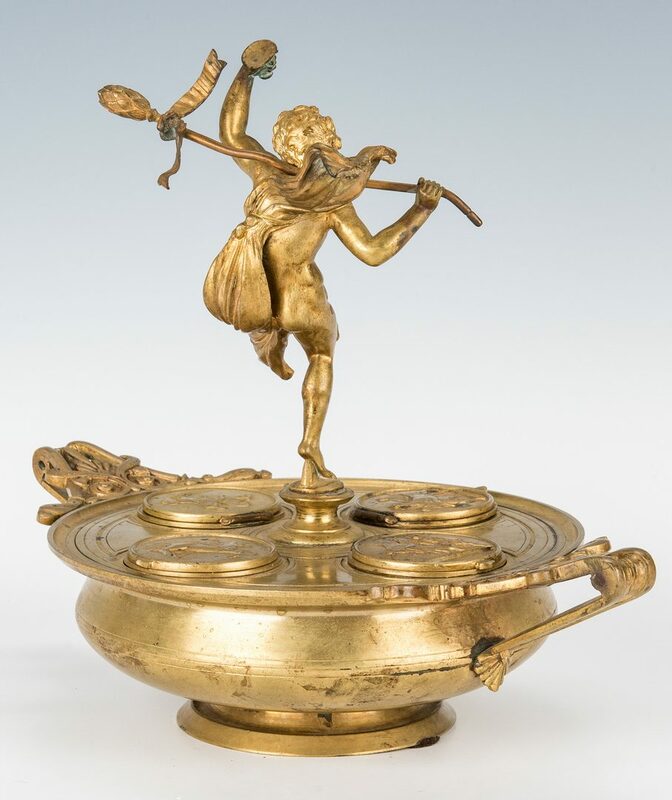 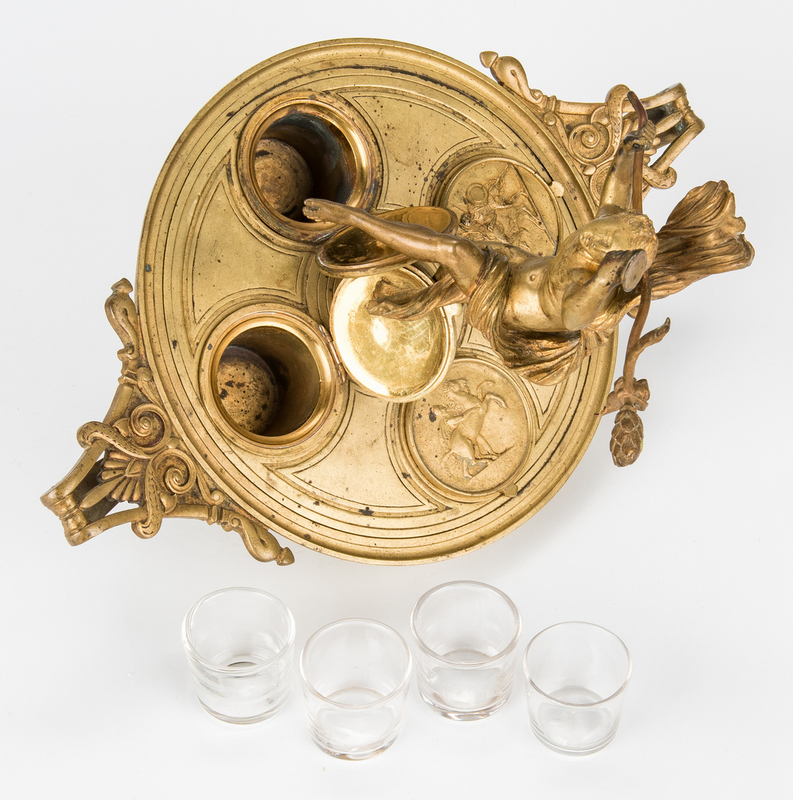 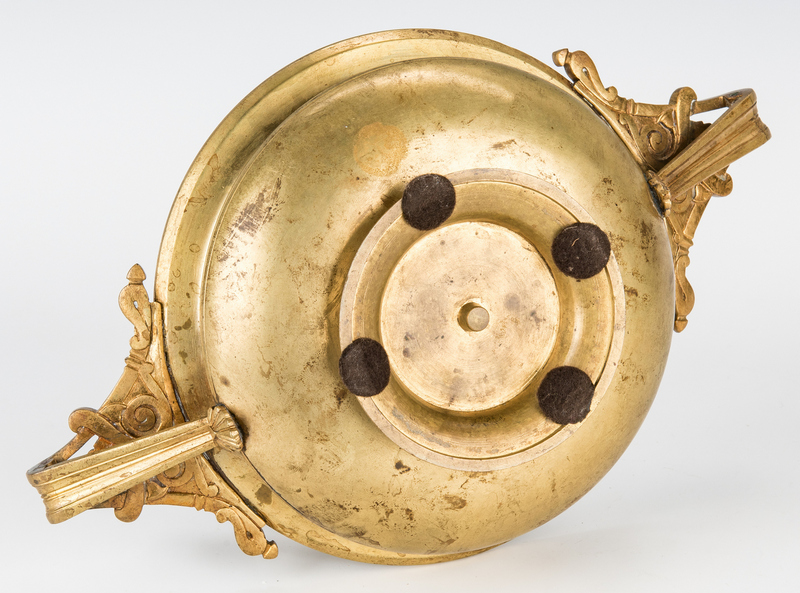 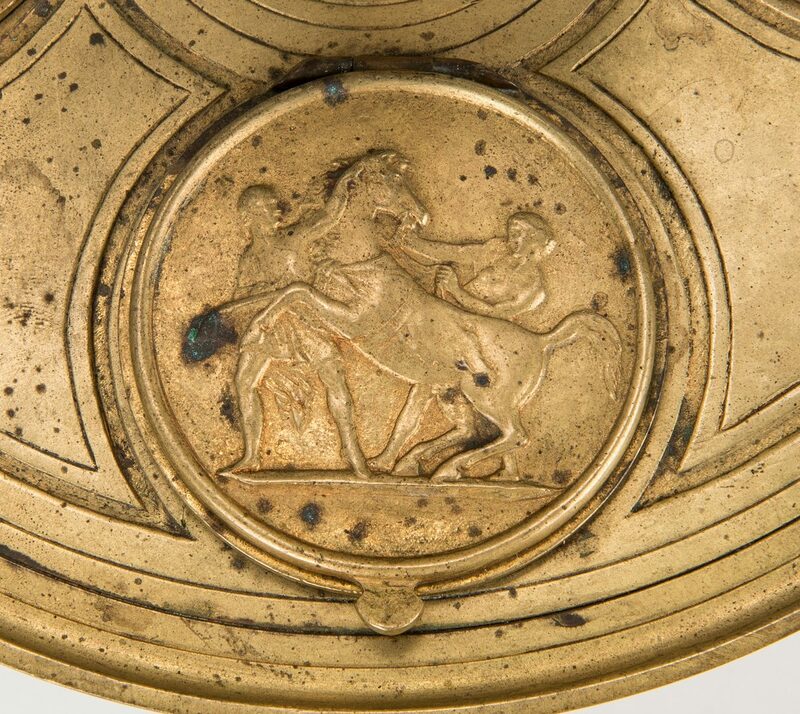 1st item: Circular gilt bronze inkstand with figural Mercury or Dionysis finial and four wells, each with glass inserts and hinged covers with varied mythological themed scenes in relief; raised on a circular foot and having two handles with classical and anthemion motifs. 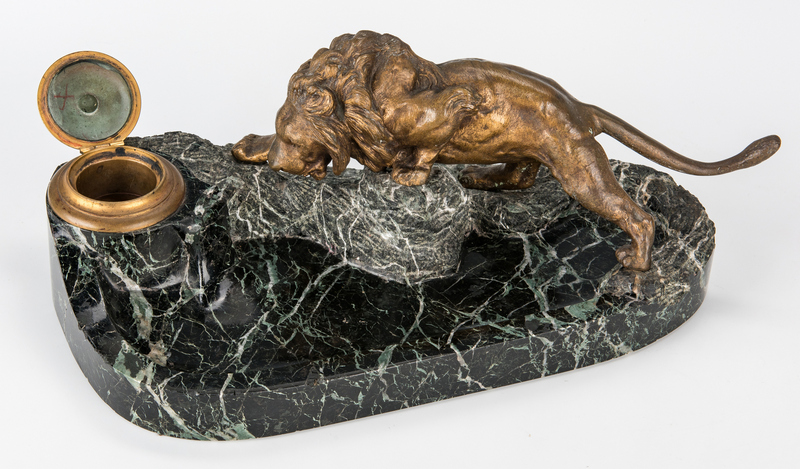 10" H x 12" W x 7 1/2" D. 2nd item: Inkstand with green marble pen well, carved as a rocky crag and surmounted with a prowling bronze lion figure and a circular bronze inkwell having a hinged foliate relief lid; the lid stamped FRANCE. 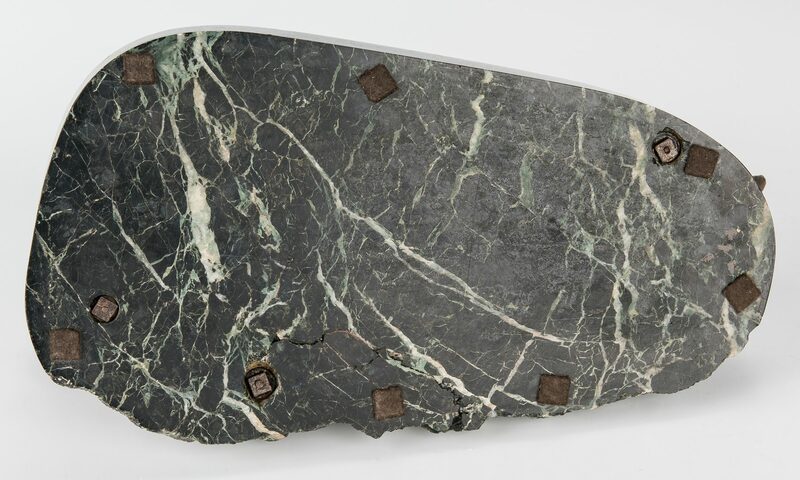 5 3/4" H x 15" W x 7" D. 14.7 lbs. Both likely French, late 19th century. 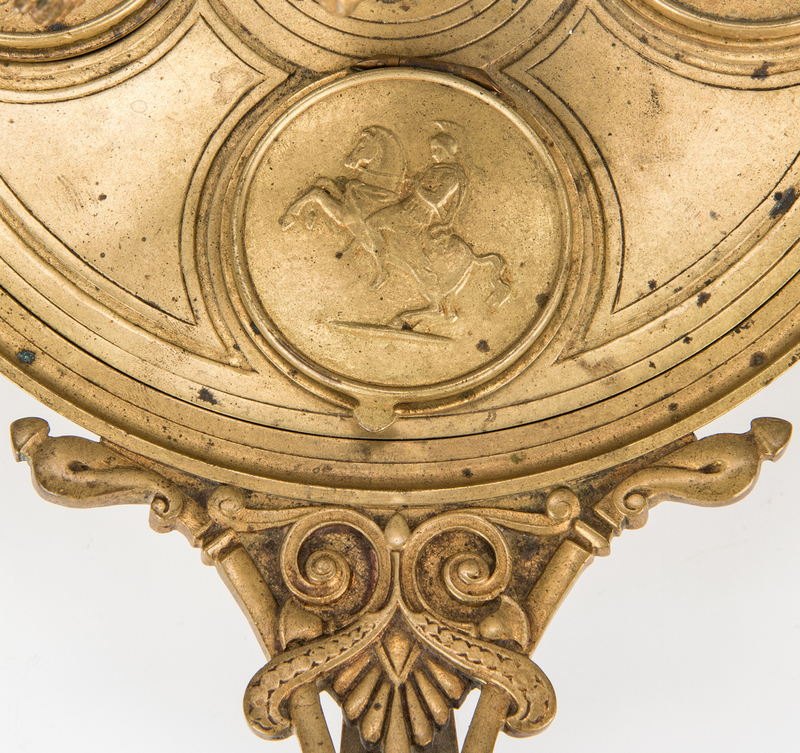 Provenance: Private Kentucky collection. 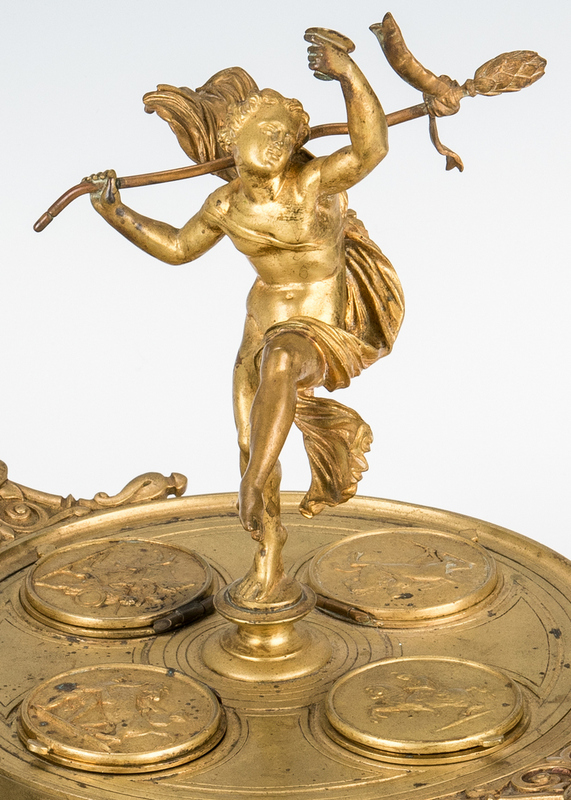 CONDITION: 1st item: Scattered small spots of oxidation/ink splatters; spear in figure's hand is slightly bent. 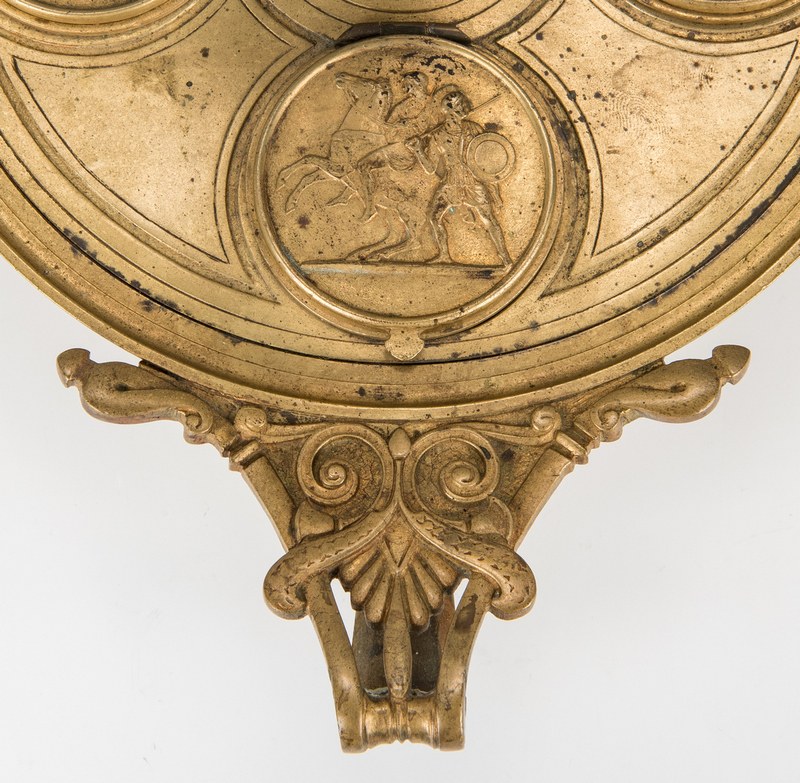 2nd item: Inkwell lacks glass insert, scattered minor edge chipping to marble.